The office is closed on holidays and snow days. Inclement weather announcements will be made? on this website – look for the above in the menu bar. Information will also be posted on our Facebook page?. For multiple-session classes taking place in certain spaces there may be more dates when classes are not held. This information appears in the course description and your instructor will remind you. Like us on Facebook to receive timely program updates and school closings on Facebook. Register online using below credit cards. 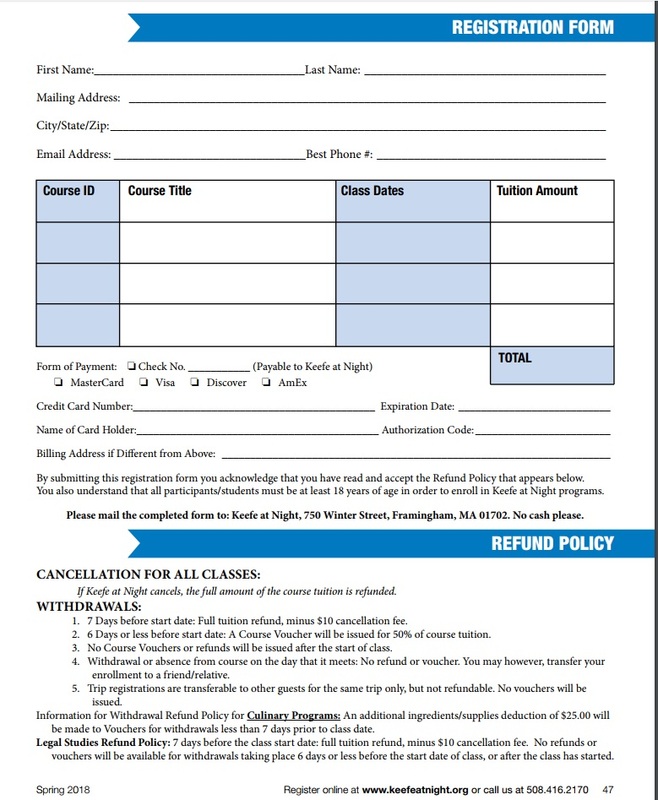 If you need a blank registration form to mail in with a check, click here.